Studio PBA designed the Spirit at the River development. 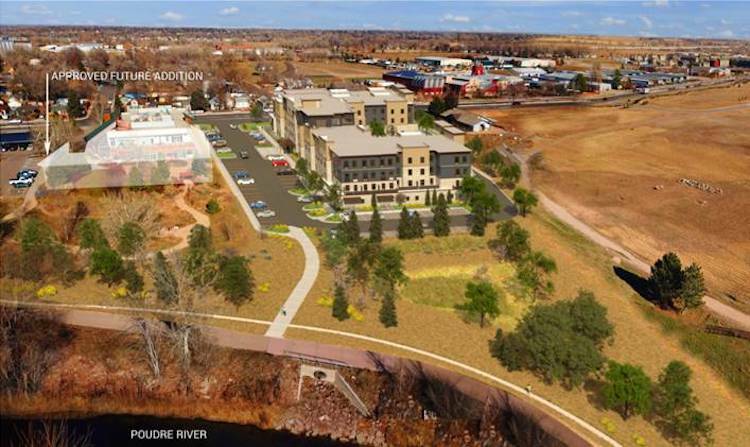 A 4.37-acre site along the Cache la Poudre River in Fort Collins will come to life with a new hotel and restaurant. Spirit Hospitality recently received city approval to develop a 107-room Staybridge Suites and Johnny’s Italian Steakhouse at 301 E. Lincoln Ave., just east of downtown and next to Woodward Inc.’s World Headquarters. The approximately $26 million development, called Spirit at the River, will get underway later this year. While the timeline isn’t finalized, Spirit hopes to apply for a building permit in September and open in 2020. The development site consists of 0.44 acres purchased from Woodward plus a former Hydro Construction property with office and industrial storage buildings along with a large equipment yard. Spirit Hospitality will demolish the buildings and restore 1.39 acres of habitat between the hotel and the Poudre River. Native grasses, trees and shrubs will be used in the landscaping to provide wildlife habitat. 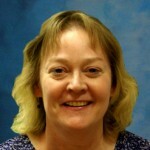 “We are looking forward to making this site a community connection point for pedestrians using the Poudre Trail, when for the past several decades it has been fenced off from any public use,” said Moira Bright, Spirit Hospitality senior vice president of development. The Staybridge Suites will be unique in that the Johnny’s steakhouse, which Spirit is bringing to two other locations in Northern Colorado, will be located on the first level. It will comprise approximately 4,700 square feet with a large outdoor patio area in the hotel’s courtyard. “No one, that we are aware of, has done a restaurant in a Staybridge before, but we wanted better street front activation on Lincoln Avenue,” said Bright, explaining Spirit obtained the blessing of hotel brand owner IHG and revised its plans to include the restaurant. According to Bright, Spirit Hospitality considered a half-dozen sites in Fort Collins for the hotel before Cushman & Wakefield brokers Jared Goodman and Travis Ackerman connected the company with Hydro Construction. Hydro wasn’t focused on selling the site, but the two parties came to terms on a long-term strategy and worked over a two-year period to close the deal. “We really wanted to differentiate this Staybridge Suites from the other extended-stay product in Fort Collins, which is concentrated along the Harmony corridor on the south side of the city. When we took a look at this property, the surrounding businesses and the improvements the city has completed along Lincoln Avenue, we knew this was a special and incredibly rare opportunity to create a connectivity to Old Town to a new commercial center while paying tribute to the history of residential communities in the north-side neighborhoods,” said Bright.